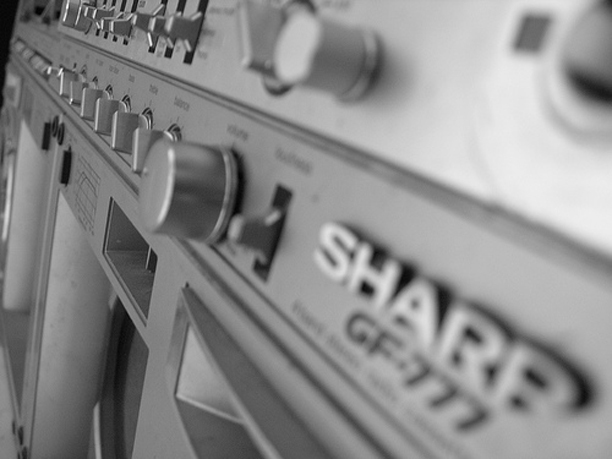 The Sharp GF-777. Considered one of the holy grails of old school boomboxes. It was one of the first portable stereos to have dual cassette recorders (Aiwa CS-W7 was the first.) 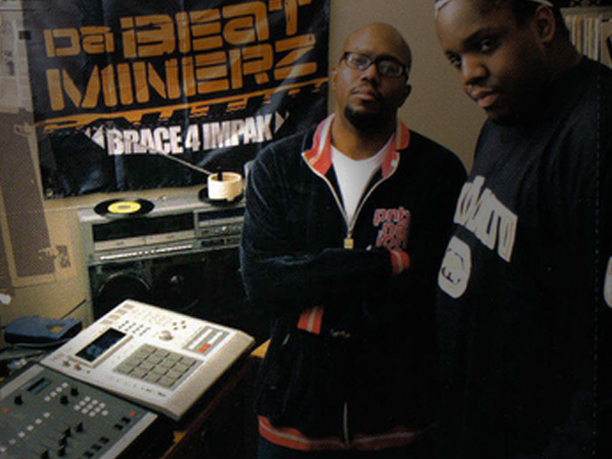 Dual tape capabilities in addition to its size made it one of the top boomboxes of its day. 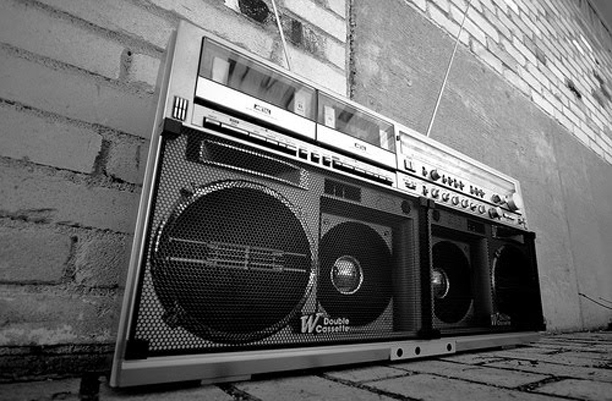 An earlier version of this boombox, the GF-767 was most known for cameos in several classic Hip Hop videos. The 767 was pretty much the same but it had blue speakers and less features. 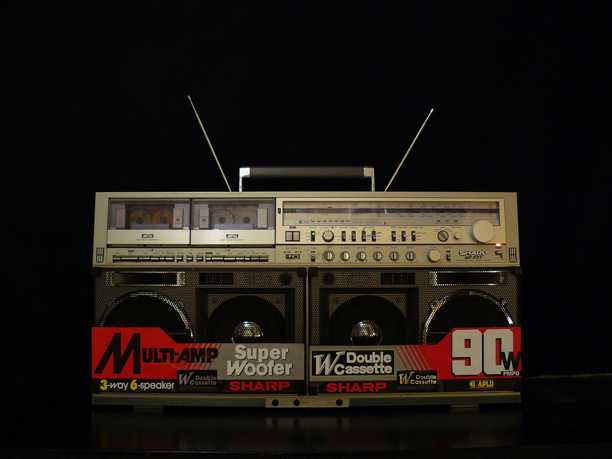 Artists like Run DMC and the Beastie Boys were known to rock this box in addition to other classic boomers like the JVC M90. Another version known as the GF-909 was released exclusively in Japan. Sleek badges were key to branding a portable stereo back in the early 80's. 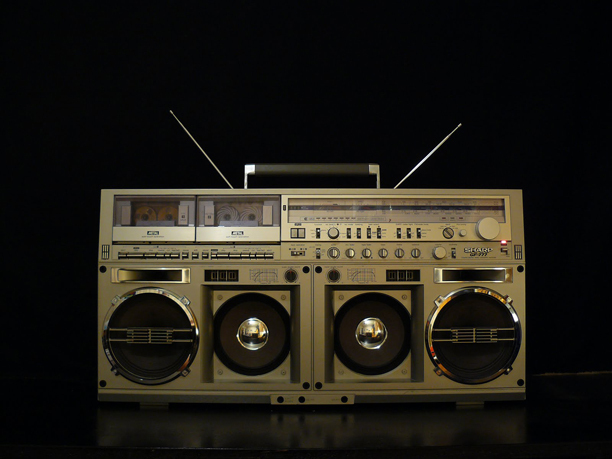 This is also considered the Golden Era of boomboxes. Before cheap plastic and economical stereos flooded the scene, Boomers like GF-777 reigned superior in areas such as sound, function and overall aesthetics. High quality components were emphasized in the design. The silver trim and iconic 4 speakers is what makes the triple 7 highly distinguishable. WATCH FOR THE TRIPLE 7 CAMEO!